The Massachusetts Justices of the Peace Association, Inc.™ is a non-profit Association, which was founded in 1975. The MJPA™ was founded to enable Justices of the Peace to fulfill the duties and responsibilities of their office in a professional and efficient manner. We provide continuing education to our members through quarterly meetings featuring industry speakers as well as specific instruction and discussions. The Association exists to ensure that each member is performing in such a way as to bring "honor and highest ethics in public service". When you use an MJPA member Justice, you can be certain that your Justice is well trained and will help you to create the Wedding of your desires. Why choose a Justice of the Peace? We will be punctual, personable and professional. We are great public speakers. Your guests will hear and understand us. We probably won’t need a microphone, dissolve in tears, become tongue-tied or laugh hysterically. We know what flows well in a ceremony and can provide a clear cut beginning, middle, and conclusion to your public joining. We won’t ramble on and make your guests restless. We think on our feet for unforeseen eventualities like thunder, an inebriated guest or a wandering moose. We will execute your paperwork in a timely and correct fashion so that your city/town hall won’t be calling you to say the license has not been properly filled out. And if you realize you spelled some name wrong and didn’t notice when you picked it up, you can easily find us in-state to complete another. And each of us has the backing of the depth and breadth of knowledge and experience of our entire professional association. If serious illness at the last minute interferes with our duties as your officiant, we can easily call on a replacement ASAP from our membership. Are you a Justice of the Peace in Massachusetts? Here are 7 reasons why you should join today! Our members have experience and expertise beyond measure. We encourage you to draw from the knowledge of our membership and we will introduce you to a Justice in or near your area. You will receive a manual that we developed to assist you in your duties. The manual contains some sample ceremonies, readings and the general laws pertaining to Justices of the Peace. As a member you will be entitled to use our logo on your business cards and literature. Quarterly meetings are held in different areas of the state. Meetings include a guest speaker and/or workshop on subjects of interest, hands-on applications and specialized techniques for solemnizing marriages and renewing marriage vows. The Justice Journal contains interesting articles and informative reports. It is sent to our members four times a year. The children and grandchildren of our members, that are residents of Massachusetts, are eligible to apply for an MJPA Scholarship. 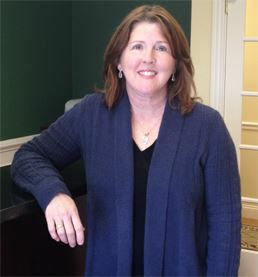 Joanne is a staff accountant with a Bachelor of Science degree in Business Administration from Boston College and a Master of Business Administration degree from Suffolk University. She has over 20 years of accounting experience working in a variety of business settings.